Gary Barnett has made quick work in demolishing the former home of the Jewish Guild for the Blind. The 12-floor building at 15 West 65th Street was acquired by Barnett's Extell Development Company in late 2017 for $147 million. Now fully dismantled, the building's wide footprint, in conjunction with properties on 66th Street, will make way for a soaring mixed-use skyscraper that is to become the tallest on the Upper West Side. Envisioned by the mastermind of One57 and Central Park Tower, the project promises to become one of the most sought-after residential addresses in the city. According to a December article from the New York Times, Extell and its minority partner Megalith Capital took three years to cobble together the through-block property. 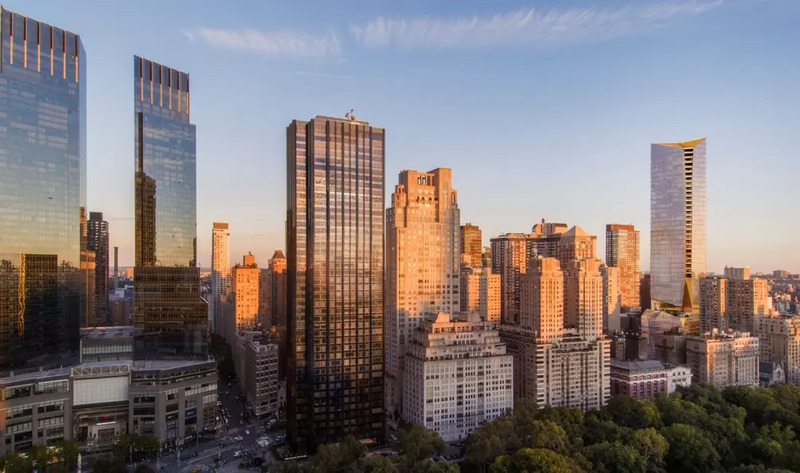 Situated just off Central Park West, the project will shoulder some of Manhattan's most prestigious apartment houses that include 15 Central Park West, the Century, and the Prasada. The site is also across from the sprawling, Disney-owned ABC campus that Silverstein Properties is poised to purchase for $1.2 billion. The developers commisioned the Norwegian firm of Snøhetta to design a "chiseled" 69-floor, 775-foot-high building. 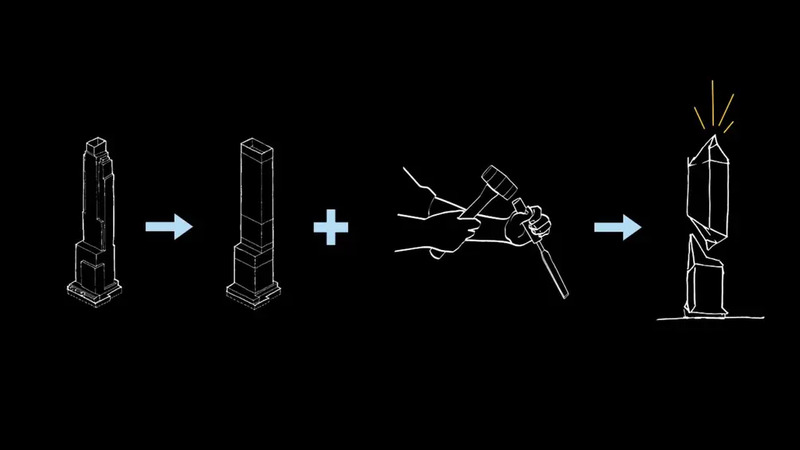 The architects prescribed a tower-on-plinth design whose carved away corners are said to evoke Manhattan’s geologic legacy. Appropriately, the building will be dressed in a raw material palette that includes limestone and burnished bronze. Snøhetta's previous works in the city include the Times Square pedestrianization project and the 9/11 Memorial Museum Pavilion. The executive architect is SLCE and interiors will be honed by Shamir Shah Design and AB Concept. The new tower will accommodate 127 condominiums with views of Central Park and the surrounding porcupine skyline. There will be a communal outdoor terrace with a garden and swimming pool on the 16th floor. Additionally, private terraces are discreetly incorporated throughout the design. The primary residential entrance will be on 66th Street and a new synagogue is to be entered from 65th Street. The Times article says the building is anticipating occupancy in roughly three years. Spreads in the building are expected to sell at upper echelons of the Manhattan market. 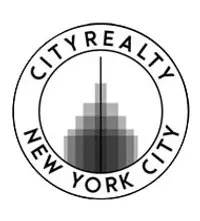 Our CityRealty data shows the average closing PPSF for a Central Park West condo stood at $2,055 in June 2018. 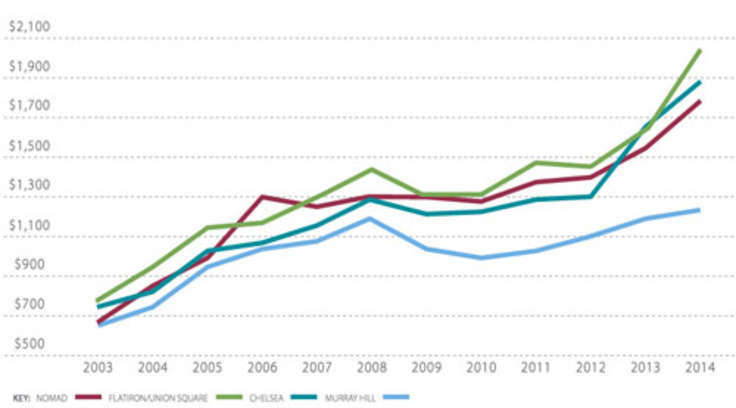 Deals in nearby 15 CPW routinely close well above the $6,000 a foot mark, however.